About 100 miles Southeast of Cleveland, nestled in the foothills of the Appalachian Mountains, along the Ohio River sits the small city of East Liverpool, Ohio. Once known as the pottery capitol of the world, many of the China and glassware factories have closed, as have the steel mills where many East Liverpool residents once worked. In its heyday during World War II, almost 50,000 people lived in East Liverpool. Today the city’s population tops off at just above 10,000. 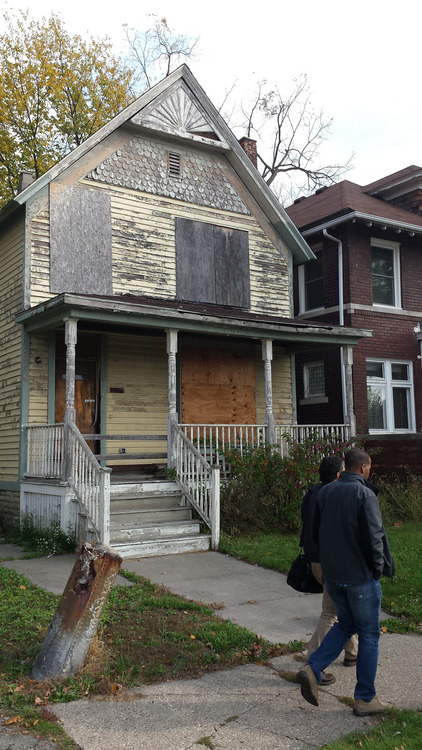 Nearly 30 percent of all residents live below the poverty level. The per capita income is just more than $16,000. The unemployment rate is 13 percent. It’s a city where almost every second or third house seems to be abandoned, and not just abandoned. Some are burnt out. Some are falling down. The locals talk about the incessant and merciless drug traffic. They say dealers have come up to the city from the east coast – having found a robust market for heroin and other opiates. The drug trade wreaks constant havoc on the streets. In late September, five people were shot there in a single night. East Liverpool enjoys another dubious honor: a staggeringly high cancer rate. In 2009, data showed that East Liverpool’s cancer rate is 615.8 people per 100,000. The Ohio average is 450.4. 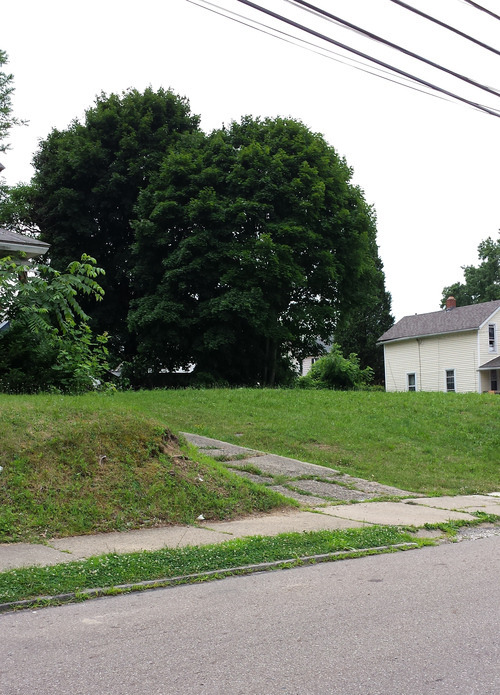 East Liverpool and the tiny towns and villages that surround it are part of the forgotten rural poor in America. Devoid of all economic opportunity, they’ve become a dumping ground for the detritus of the global economy while simultaneously fueling it by providing coal, oil and natural gas. If you haven’t heard of East Liverpool, don’t be too hard on yourself. Until about a year ago, I hadn’t either. My job as an organizer for the Ohio Organizing Collaborative took me there. I joined the OOC to start organizing communities affected by fracking, the process of extracting oil and gas from shale formations deep within the Earth. As I began exploring the rural areas of Eastern Ohio, a colleague introduced me to three men – one in his seventies, two in their eighties – who had been fighting for environmental justice for East Liverpool since the 1980s: Alonzo Spencer, Virgil Reynolds and Mike Walton. Each has been seeking justice for their community. They are the remnants of a once robust movement to shut down the hazardous waste incinerator that was finally constructed in 1994. They still write letters to the EPA, the governor and anyone else they can think of. They are seeking answers about an ash plume emitted from the incinerator last summer. The ash coated the homes and cars in the surrounding area. No one has given them an explanation. Meanwhile the cancer cases continue to mount. A friend and coworker of mine from East Liverpool knows 12 people who suffer or passed away from blood or bone cancer. In a city this small – this is outrageous. The common notion is that Democrats are environmentalists and Republicans are not. But the Clinton family and administration had a hand in constructing and protecting the incinerator. Friends and former colleagues of President Bill Clinton and former Secretary of State Hillary Clinton were the incinerator’s initial investors. Despite countless violations on it’s permit, the Clinton administration allowed the incinerator to be constructed – 1100 feet from an elementary school, in the middle of an African American neighborhood, on a flood plane along the Ohio River. Indeed, as the area surround East Liverpool de-industrialized and residents could not longer find work that pays a living wage, the area’s main industry seems to be waste disposal and resource extraction. Across the river in Beaver County PA is a coal ash impoundment pond affectionately known as “Little Blue,” possibly because it literally glows neon blue. There are more than 600 permits for horizontal fracking wells within 50 miles of the city (NOTE: That’s in Ohio only, if you include western Pennsylvania it’s more like 1,300) . Just south of it, in the equally stressed village of Wellsville, cancer-causing silica sand used for fracking operations is stored in huge uncovered piles just several hundred feet from a residential neighborhood. Down river in Jefferson County is First Energy’s dilapidated Coal Fire Power Plant WH Sammis – which the EPA says is one of Ohio’s top five polluters. Meanwhile, a University of Cincinnati study has shown that the levels of manganese emissions in East Liverpool are at a dangerous level and have led to learning disabilities and cognitive problems among the area’s children. And we all wonder why poor folks living in areas like these just can’t get a job and make something of themselves? I’m not from East Liverpool. I am not poor, nor have I ever known poverty. I grew up in a comfortable suburb far from the shootings, drug trade and hazardous waste incinerators. I am the granddaughter of poor Irish immigrants who came to Cleveland in the 1920s for economic opportunity and political freedom. My grandfather got a WPA job under President Roosevelt during the New Deal. He was a laborer who helped build the Terminal Tower. He eventually got a union job at the Cleveland Graphite Bronze Factory. He took three busses to work every day, but made enough money to send his seven kids to Catholic school (It only cost $12 for each child to attend.) They lived in the bottom apartment of a double on West 93rd Street, often sleeping several children to a bed and my mother on the couch in the living room. Life was hard for my mom’s family – but each and every one of those seven children joined the ranks of at least the middle class. My uncles served in the military, and the GI bill sent them to college and law school. One uncle became a Vice President at both Notre Dame and Ohio State University and another became a judge in Cuyahoga County. My mom received her master’s degree from Boston College. Not only was the social safety net present, but my family was not exposed to the same level of concentrated toxic contamination. Cleveland’s air quality was bad when my mom was a child in the 1950s and ‘60s – but the economic opportunities she had gave her a fighting chance to move someplace healthier. Few people in East Liverpool have that chance. Those that did are already gone. My family is smart and driven – but no more so than many of the people I have met in East Liverpool. The difference is, we benefitted from a more robust social safety net, unions and economic opportunity. Without access to public transportation, my grandfather wouldn’t have been able to make it to work. Without a union, he wouldn’t have made a living wage. Without the programs put in place under the New Deal, my struggling young grandparents and their children might not have climbed out of poverty. In poor neighborhoods across America, rural and urban alike, we must return to investing in our people. Without the New Deal, there would be no Caitlin Johnson – of this I am certain. It’s time to realize that dream for all Americans. And it’s time to move to a new economy – one based on investing in people, not investing in resource extraction and waste disposal. The areas richest in natural resources should not be the areas most plagued by crippling poverty. It doesn’t add up. The patterns are far too clear for us to continue blaming individual behavior when the game appears to be rigged in favor of nameless, faceless corporations. The three lake sturgeon in Discovery World’s “touch tank” aren’t given official names, but that hasn’t kept at least one employee in this newish Milwaukee educational center from christening them female superhero names like Tank Girl and She-Ra. As a Michigan native, I’d heard of Sturgeon before, but I wasn’t prepared to fall for them the way I did when I put my hand in the tank. Sturgeon are big – in the wild, they’ve been known to reach up to seven feet long. And they’re unlike any other fish I’d seen. Their rough skin is scale-less and their spine is bony like dinosaurs you’ve seen pictured in kids’ books. In fact, sturgeon have been around for at least 200 million years. It’s a mind-blowing story of survival. Tank Girl and She-Ra swam right up to my still hand, rubbing against it as they passed over and over, like a cat might. Perhaps they were just hoping for food or were bored from swimming endless laps in their tank, but the woman overseeing the aquarium that afternoon likes to muse on the possibility that they get some pleasure from being touched. Sturgeon have been around since the Cretaceous, but it took no time for humans to decimate their populations in the Milwaukee River by the early 1900s. Now, thanks to nearly a decade of stocking efforts by Riveredge Nature Center and Wisconsin’s Department of Natural Resources, the fish is coming back. “Sturgeon Fest” draws Milwaukeeans to the mouth of the river to release hundreds of tagged fish into Lake Michigan every autumn. It’ll be several years before they’re able to spawn on their own, but the whole region is pulling for them. The sturgeon’s fragile comeback mirrors the city’s own. More than any other Great Lakes city, Milwaukee is prioritizing the value of the water in its midst. Could it base its economy on the protection of a resource rather than its exploitation? Its first forays into this concept point to “yes”. Near the site of Sturgeon Fest is the University of Wisconsin’s brand new School of Freshwater Sciences building. I had a chance to visit the school in early October with the members of Rachel’s Network who were holding a conference on – what else? – water. The women of Rachel’s Network hail from around the country, but all share a passion for (and ability to) fund impactful environmental projects. 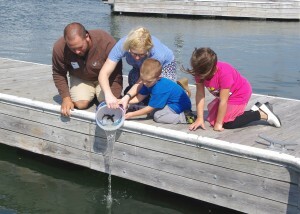 We travelled to the school along the Inner Harbor, aboard the UWM research vessel Neeskay. Decades of industrial misuse were on display. The school itself is sandwiched between gigantic storage tanks filed with foul-smelling asphalt on one side and a huge pile of coal bound for the city’s power station on the other. The choice to site the school here is a testament to Milwaukee and UWM’s faith in the future. When professors and students look out their wide classroom windows on the second floor of the school, they don’t see the hundreds of acres of brownfields and unsightly heavy industry: they see the potential for a new economy built on social and ecological sustainability. Efforts are now underway to redevelop the Inner Harbor in this vision. The amount of collaboration that happens in this city is enviable. Urban farming pioneer Will Allen collaborates with UWM on aquaponics. The Water Council, a collection of innovative water companies, counts the Metro Milwaukee Sewarage District among its members. Small businesses like Lakefront Brewery work with environmental nonprofits and Discovery World to advocate for clean water. Milwaukee’s new water economy is a remarkably cohesive effort. Lakefront Brewery President Russ Klisch appeared on the front page of the Journal Sentinel the day after we toured his brewery. Meghan Jensen of the Water Council, Ann Brummitt of Milwaukee Water Commons, Karen Sands of Milwaukee Metropolitan Sewerage District, and Lynde Uihlein. Milwaukee’s water community is very collaborative. All this work could be undermined, of course, by forces like federal and state politics and climate change that are beyond the city’s control. Water rights advocate Maude Barlow gave Rachel’s Network a sobering picture of extreme energy development and transportation that’s ramping up around the Great Lakes, from bitumen (tarsands) shipments on lake freighters to growing capacity on pipelines like one Enbridge line that runs the length of Wisconsin and the aging Line 5 that carries oil and gas right under the Straits of Mackinac. The coal-fired Edgewater Generating Station mars an otherwise beautiful Lake Michigan coastline in Sheboygan. Environmental engineer David Flowers talks about the natural sewage system he designed at Riveredge. Wetlands and underground cisterns treat water coming from the facilities. An interactive model of the Great Lakes at Discovery World. Great Lakes residents take water abundance for granted. But this abundance is far from guaranteed in the future, says Jenny Kehl, UWM’s Chair of the School of Freshwater Sciences. Many regions of the country are already experiencing serious water scarcity and the Great Lakes will become an obvious place to make up the difference. The system’s recharge rate is only 1 percent. Harvest anything more than that, and (heaven forbid) you might have an Aral Sea on your hands. Some of the best days of my life have been spent along and on these restorative inland seas. I’ve climbed dunes in Saugatuk at sunset and fished with my dad on Lake Huron. I’ve wandered the shore with my inquisitive nieces and nephew, searching for stones and feathers and fish skeletons. To think this is all at risk is a terrifying proposition. Although we arrived in Milwaukee after Sturgeon Fest concluded, Riveredge Nature Center allowed me to “adopt” one of their released sturgeon. Should the fish tagged with #985120030644058 be found and scanned somewhere, I’ll receive notification. I’m hoping like hell that fish comes back to spawn someday, and that when it does, Milwaukee’s fledgling water ethic will have caught on around the Great Lakes. By Erica Flock and originally published at Negwegon. Here‘s Cleveland’s “architecture critic” Steven Litt defending the construction of a giant, outdoor chandelier in downtown Cleveland. The crux of Litt’s argument seems to be if a woman from Vermont was standing under it and taking a picture of it, criticisms of this project can’t be legitimate. Litt reported on this project many times and each time he alluded to unnamed “critics” who think the project is tacky and/or a waste of money (The city of Cleveland, which has a 54 percent child poverty rate, contributed $1 million to the construction project). Litt never found the time to talk to a single critic. In every instance he deferred to Art Falco, the director of Playhouse Square, who — by the way — does not think the project is a waste of money and/or tacky. If all we need to determine the architectural quality of something is to interview a passerby, what do we need an “architecture critic” for at all? 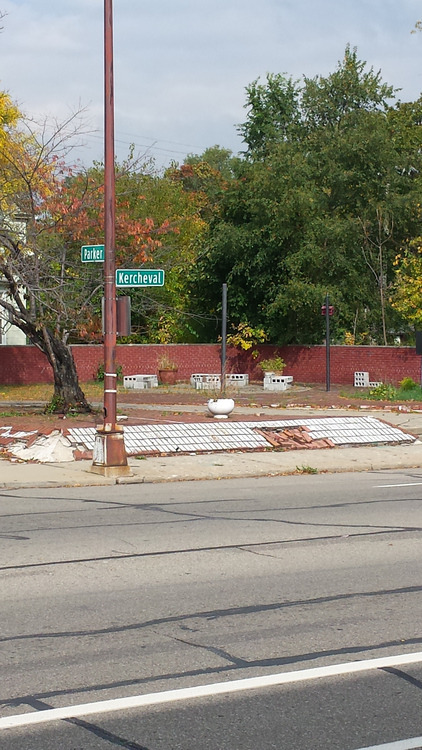 What large-scale decorative object installed in downtown Cleveland would warrant criticism from Steven Litt? Where was the design community on this? Not speaking with the press, that’s for sure. Why is that? The battle over Issue 7, whether or not to renew the sin tax on alcohol and cigarettes, revenues from which finances upgrades to our professional sports facilities, ended up being the main event in Tuesday’s primary here in Cuyahoga County. 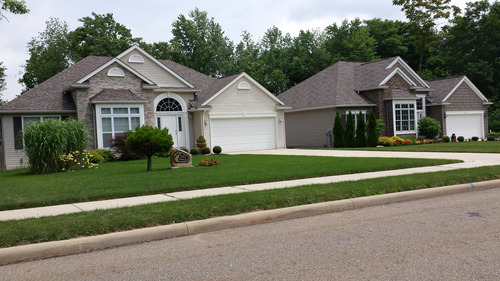 Ultimately, Cuyahoga County residents voted 56%-44% to continue the tax for another two decades. The arguments for and against the sin tax, at least as it is currently defined, have been laid out quite effectively and ad nauseum; I’m not here to rehash them. It was nearly impossible for anyone watching, listening to, or attending a Cavs or Indians game to avoid being hit over the head with pro-Issue 7 ads. The Browns, Cavs, Indians, and their allies – particularly the Greater Cleveland Partnership and The Plain Dealer (which basically acted as the official media mouthpiece of the campaign) – outspent the ragtag anti-Issue 7 crowd 170-to-1; the groups spent roughly $1.2 million and $7,000, respectively. While the anti-Issue 7 campaign mounted an effective charge on social media and built a solid, if motley, coalition around the issue, the group never really stood a chance against those odds. The best way to understand most Cleveland political debates isn’t party politics. It’s, do you believe in spending tax money on “public-private partnerships” that draw people and business downtown? Or do you thinks that’s corporate welfare, giveaway of money better spent on other needs? That debate has run through our politics for decades, from tax abatement in the ’80s through Gateway in 1990 through the convention center debate in 2007, to the sin tax rematch yesterday. This got me thinking about the political economy of this issue. We already know that all sin taxes are inherently regressive; they are consumption taxes assessed equally, regardless of income, ensuring that the poor pay more than the wealthy as a share of their income. Accordingly, it’s perhaps not surprising that, while the sin tax had already passed twice in Cuyahoga County, it failed each time in Cleveland. Given these facts, I wanted to explore the relationships between per capita income and Issue 7 results. 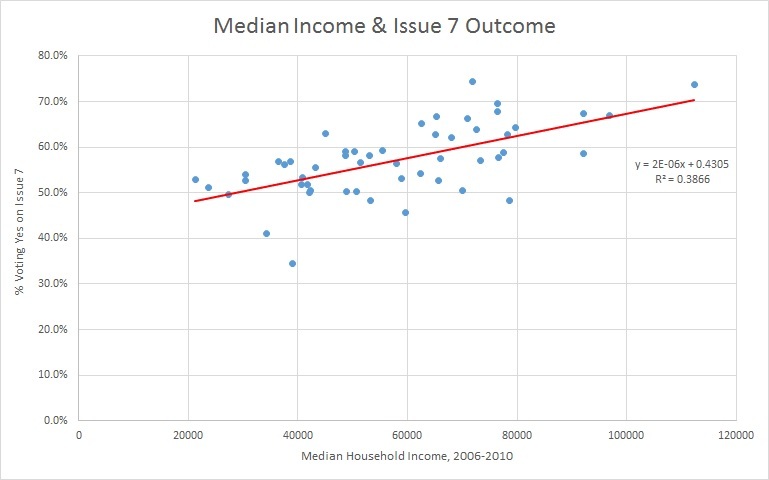 Below, you will see the correlation between median household income from 2006-2010 (5-year average) and the percentage of voters voting yes on Issue 7 (PDF). Income data are drawn from the American Community Survey (via NEO-CANDO), and elections results are from the Cuyahoga County Board of Elections. Correlation between median household income and Issue 7 results for all 57 municipalities in Cuyahoga County. As you can see, the relationship is quite strong (the correlation coefficient is .607). As income increases, so too does the percentage of voters supporting the sin tax. But, as you can see, there are a few municipalities on the right side of the chart that may be skewing the data due to their extremely high income levels. These include Bentleyville and Hunting Valley, where the median household income is $191,250 and $250,001, respectively. 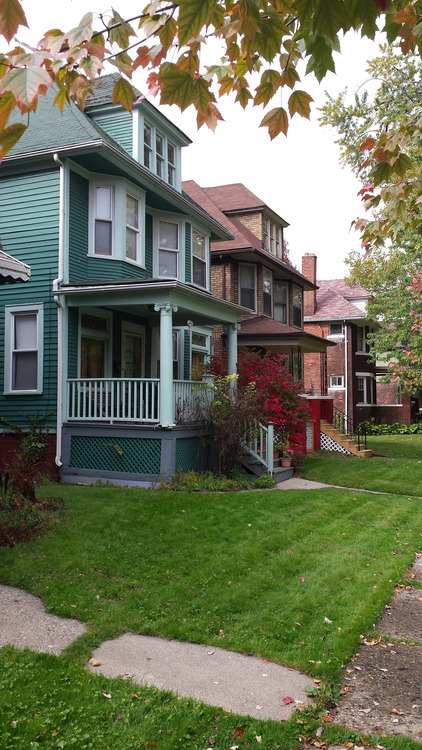 For comparison, the median household income for Cuyahoga County was $59,583 for this period. In order to account for this potential skew, I removed the five municipalities who had incomes more than 2 standard deviations greater than the mean. These were Moreland Hills, Gates Mills, Pepper Pike, Bentleyville, and Hunting Valley – your extremely tony eastern suburbs. (On a related note, Gates Mills also has the highest household carbon footprint of any municipality in the region). As you see below, when I remove these five outliers, the correlation becomes even stronger (correlation coefficient of .621). 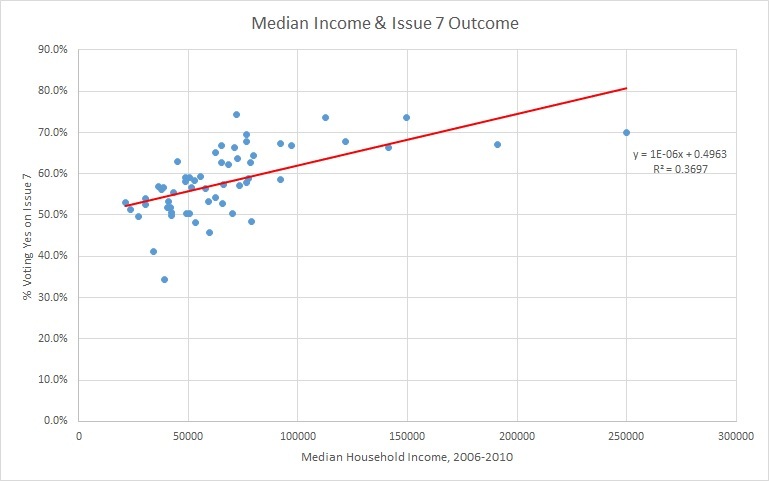 Correlation between median household income & sin tax results with the 5 outliers removed. Issue 7 only failed in six municipalities; these had an average income of $47,744, more than $11,000 less than the median for the County as a whole. Five of these cities are middle class, inner-ring suburbs located just south of Cleveland; the other two are the city of Cleveland and Valley View. Shockingly, East Cleveland, easily the poorest city in the County, actually voted forthe sin tax 53%-47%. Clearly, there is a major income divide over this issue, with lower-income voters, who will bear the burden of the tax, far less likely to support it than higher-income voters. Maybe that would have made a difference if voter turnout in Cleveland wasn’t 13.85%. But it is what it is, at this point.